In case you are wondering, Joey Barton does not own or works as the president of Spanish side Malaga. 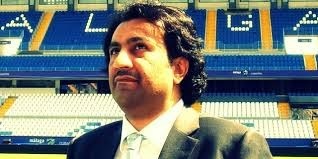 In fact the club owner and president is Sheikh Abdullah Al-Thani from Qatar who is known for being a big sports fan and a polemic user of Twitter. He has been known to take to Twitter to complain about almost anything that relates to Malaga and what he perceives as injustices. This time the target was the local government that he blames for stalling in his bid to build a new academy and training complex. His new academy and training complex is something that he has been planning on doing for the last five years and seeing no development in this situation he took to Twitter to vent his frustrations and claim that if need be he will move this project to another city. He is not holding back on his feelings, but I wonder what the real issue is. Is it land? Taxes? One has to wonder what would stop the local government from pushing forward with this if it could probably mean jobs and development of the local area. As far as moving it elsewhere, I am not sure that makes any sense. The team needs the complex where they are not in a neighboring city. This is not a franchise that he can relocate at his will. Someone has been playing too many video games in Qatar and has lost track of reality.